I have always wanted a smart home. Even back when I was a kid, I dreamt about being able to just say things and then have it happen. A bit like Knight Rider, but with my house. Thanks to the rapid advancement of technology resulting in amazing gadgets like the Vera Plus, that dream is now coming true for me and many other tech geeks. I have been writing this post over a few months. I started writing it when I first purchased the Vera Plus. But as I knew very little about home automation back then, I decided I would first use it extensively, see if it could do everything I wanted it to do and then write a detailed review about my experience. And that time has come, 6 months on. So what did I want my Vera Plus to do? And how did it do? MiCasaVerde, Vera Control – Who are they? Z-Wave is emerging as the industry standard that meets all of the above. The Vera HA controllers are the best in my opinion because they can communicate over not just Z-Wave but Bluetooth and ZigBee also. MiOS Ltd. is a Hong Kong-based business that owns Vera Control Ltd., the company that owns the Vera brand. It was started in 2008 by co-founders Aaron Bergen and Lewis M. Brown. Vera Control Ltd. used to be known as MiCasaVerde and you may find references to this name across the Internet and even on this very blog. Vera got in touch with me after this post was published and commented that three years ago they changed their name to Vera Control. To start the setup process, I followed the Quick Start Guide, plugged it into my Netgear network switch with the supplied RJ-45 ethernet cable an powered it up. In no time, the Vera Plus booted up and I went to https://home.getvera.com as instructed by the guide. I was then presented with the T&Cs which I accepted. I then chose Vera Plus from the list of devices, and it found the Vera automatically on my network. For some reason, it didn’t work the first time for me, so if it fails the first time, just wait for 2-3 minutes and click retry. I was then asked to continue setting up my account while the device software was being updated. This is where I hit the first roadblock. I didn’t appreciate being forced to enter not just my full name, email address, and password, but my full street address and mobile number as well! Absolutely unnecessary to require this level of personal information for a home automation controller that claims to protect users’ privacy by not needing the cloud to work. Since the Vera wouldn’t let me continue without entering all this private information, I obliged by entering some fake information. If you force people to part with their privacy to use your product, there’s every chance users enter gibberish. Not only does that mess up a company’s CRM data accuracy, it also undermines the main selling point of the Vera – security conscious people like me choose the Vera because it can work without the cloud, and we don’t want to part with any more data than we need to. There’s no monthly subscription fee, so then why does Vera need my personal details? This is the main reason I didn’t go for Samsung Smart Things, it is crippled without cloud access. After about 5 minutes, the software update completed, and a ‘Go to Dashboard’ button appeared at the top right (it is easy to miss!). This took me to a dashboard with the Vera listed and a ‘Complete Setup’ button. Clicking this takes you to the UI7 dashboard and asks you to verify your contact details and email address. I skipped the part where it wanted to verify my mobile number by SMS. Then you get to name your Vera, yay! The next step in the wizard is adding devices. In Z-Wave lingo, this is called inclusion. Essentially before you can use a device, it has to be paired with the Vera controller, just like a Bluetooth headset needs to be paired to your phone before you can use it. If you want to remove a device from your Z-Wave network, you will need to ‘exclude’ it. There’s a step-by-step wizard for that too. The first sensor I bought to go with the Vera Plus is the Fibaro 4-in-1 multi-sensor (which I reviewed recently), but it was not yet in the list of devices supported by Vera. I could choose to add it as a generic Z-Wave device, but I chose the closest option, a 3-in-1 Fibaro sensor. This meant that the vibration sensor was not detected and added as a Vera sensor, but this was fixed in subsequent software updates. The Z-Wave inclusion process went very smoothly, but I was a bit baffled why the sensors didn’t seem to show any data, but after a minute or two, the temperature showed up, albeit in Fahrenheit. Motion was also detected and reported in the form of a motion icon. Another thing I noticed is that the default temperature unit was Fahrenheit even though I had chosen the UK time zone and set my location to UK. I expected the unit to then change to Celsius. I was able to change this in the settings, but the Fibaro temperature was still in Fahrenheit. As I was quickly learning, I just needed to wait for a few minutes again. The F symbol was soon replaced with a C, so my temperature weirdly became 72C. Again, sure enough, in another 2 or 3 minutes, the temperature was reported as 23.2 deg C. Being an absolute newbie to Z-Wave, I realised that some settings don’t immediately take effect, presumably as the sensors touch base with the Vera only every few minutes. So all was good, my motion and temperature sensors were up and running. What about the lux sensor of my Fibaro? All this time, there was just nothing there. Blank. After some googling, I found that putting it under a bright source of light helps speed up the calibration process. Sure enough, after around 30 mins, I started getting a lux reading. Next I added my Hikvision IP cameras. The Vera Plus doesn’t support RTSP streams but it supports only the MJPEG protocol. All the cameras were added successfully but the camera images seemed a bit slow to load. That’s when I got a notification to install the latest firmware. Once that was done, the first thing I did was return to the camera sections and immediately everything worked so much faster. The Vera Plus can record the camera streams or take snapshots based on rules (scenes) that you can create. The Imperihome app I use can pull RTSP streams directly from the cameras instead of pulling MJPEG streams from the Vera Plus. So this is the way to go if you absolutely need RTSP streams. One of the interesting features of UI7 is that it can send http commands. This means you can control devices on your network that are not Z-Wave based but have the ability to receive http commands. For example, my Panasonic smart TV and my Denon AVR support http commands. So I have integrated them into my smart home network very easily. This is also how it sends voice alerts to my Imperihome tablet announcing that the boiler is being switched on, or that its time to close a door that has been open for too long. MCV calls its latest operating system the UI7. This is the software that runs on its Vera devices including the Vera Plus. It is a web-based interface which is very modern and user-friendly. Various options are laid out logically and in a very intuitive manner. The thing with home automation is that once you set up your devices and schedules, you rarely need to go into UI7. You will most likely monitor and operate devices from your smartphone or a wall-mounted tablet. You can access the UI7 interface by typing in the IP address if you are inside your network, or remotely through Vera’s cloud servers if you are outside your home network. Since the Vera Plus can also be used to either control your existing home alarm system or become your smart alarm system, it naturally supports the arm/disarm feature. This is achieved by having modes that your smart home can be in – by default the system is in Home mode. Which translates to disarmed. Arming is achieved by using one of the other modes – Away, Night or Vacation. All your smart devices are aware of the house modes and you can use these in the scene wizard or any of your plugins. Just as most modern platforms, MiOS has a core of supported plugins and a huge number of plugins created by individuals. Since the Vera supports uPnP, plugins are available for almost any device you can think of. For example, my GC-100 Ethernet to Infrared hub is not supported by the Vera but there is a 3rd party plugin that does. So you can use plugins to extend the functionality of your Vera Plus. This is a much hyped feature that many people desire. It goes like this – you pull up into your drive and your smart home knows you are near, and will trigger a welcome home scene – turn on the porch light, disarm the alarm system, turn up the heating or cooling based on the time of the year, turn on the coffee machine, you get the idea. Vera uses the app on your phone to detect when you are within range of your home network. So the moment your phone logs onto the Wi-Fi at home, the Vera Plus knows you are home. I personally don’t use this feature but its quite cool – I may start doing it soon. The primary method of programming the Vera Plus in UI7 to do things is by creating rules or scenes as UI7 calls them. Scenes are basically if-this-then-that type of scenarios where a trigger causes a device or set of devices to perform specific actions. The trigger may be a device in your network and/or a particular time of the day. You can create scenes using the excellent scene creation wizard or write your own LUA code which is the engine that powers Vera’s scenes. You can get very creative with a home automation controller like the Vera Plus and sensors. One of the scenes I have created is based on the hallway Fibaro Sensor detecting motion between the hours of 11PM and 6AM in the living room as a trigger. This then fires an action of turning on the hallway light for someone hankering for a midnight snack! Since the Vera also knows when it is day and night anyway, I could also just set the time restriction as ‘day time’ or ‘night time’ or ‘1 hour after sunset till 1 hour before sunrise’, and the Vera won’t skip a beat. This sort of functionality is what makes the Vera Plus so easy to use for anybody. I haven’t set up any specific scenes for cameras, I added them to the Vera just to quickly see all the streams in one Imperihome page. You can however use the LUA code feature to automate arming and disarming of the cameras, integrate the Surveillance Station of your QNAP NAS, and so on. One of the main reasons I got the Vera Plus was to add smart heating to my home. I had just replaced my dodgy old boiler with a spanking new one and it seemed to be the right time to go fully smart. Extensive research led me to the Secure SSR302 2-channel Boiler Receiver which has been well received by the Z-Wave community. It has two separate channels, so I can control my central heating and hot water channels separately. Installation was plug and play and I was soon on my way creating scenes to schedule hot water and central heating. But I soon realized that my vision of an ultra-automated zone-based smart heating system that automatically maintains the set temperature across my home was beyond the reach of Vera’s scene wizard. This is because the scene wizard does not have the ability to program using logical AND operations. This severely limits your ability to create complex scenes. Hours of research ensued and culminated in me stumbling across the excellent PLEG plugin. PLEG allows for conditional logic on steroids and transforms the Vera Plus from a capable HA controller to a fire-breathing monster. Mastering PLEG is a steep learning curve but oh the smart heating system that I was able to build with Vera and PLEG was worth the effort. I have since published a post on how I built it with all the logic rules so that you can just copy and paste it into your Vera! Although the Vera smartphone app is perfectly adequate, after some research I decided to use the Imperihome app to control my smart home. The Imperihome app has been around for some time and is a visually appealing way to easily build a dashboard to monitor and control your smart devices. Did I say it supports audio alerts through Text to Speech? So you can set up the Vera to push audio notifications to devices around the home! This is very cool and never fails to impress friends and visitors. As my first Z-Wave controller, I didn’t really know what to expect from the Vera Plus. Having used it over 6 months, I can say that I am very please with the Vera Plus. I have since added many devices to my Z-Wave network: the Fibaro Z-Wave 4-in-1 sensor, an Aeotec MultiSenor 6-in-1, five GreenWave Node smart power plugs to control lamps , three Hikvision cameras, an Amcrest PTZ Wi-Fi camera, the Secure SSR302 2-channel Boiler Receiver and the Global Cache GC-100 Infrared Network Adaptor (to control older units in my home theatre via Infrared). The Vera Plus has seamlessly integrated all these devices transforming my home into a truly smart home. Everything has just simply worked with no issues whatsoever. Reliability has been a 100% and any changes I make from the Imperihome app instantaneously take place. For example, there is virtually no delay between pressing the switch to turn the lamp on and the lamp actually turning it on. On that note, one of the wonderful things about Z-Wave is that it is always aware of the actual state of a device, or in other words Z-Wave supports 2-way communication or status reporting. So if a lamp is on, it actually shows that the lamp is on and using the GreenWave power plug’s power meter feature, it can measure actual power consumption and do things with it. You may think, duh status reporting is a necessary feature to know the state of a device without actually being in front of it to see it. I agree, a big part of home automation depends on knowing the current state of a device! Well my friend, you may be surprised to hear that while all home automation protocols can only send an on/off command, some cannot actually then query the status to see if the command was successfully received. For example Lightwave RF does not support status reporting. What about accessing the Vera Plus from outside the home? By default, the Vera Plus registers itself with MiCasaVerde’s cloud platform. So you can login to your Vera from any where in the world and check on or control your smart home. Since I run my own OpenVPN server at home, I haven’t needed to rely on this but it has worked very well when I tested it remotely. I strongly believe that Z-Wave is the best Home Automation protocol and that the Vera Plus is the best Home Automation controller for beginners to home automation. With HA, you want a mature technology that you and your family can depend on day and night. That’s what Vera Control has delivered with the Vera Plus. It is indeed a wonderful time to be alive, where such awesome technology costs just a few hundred dollars! I have since moved to the HomeSeer HS3 software as the level of complexity that my smart home has to deal with was difficult to attain with Vera. But the Vera Plus is a lot more accessible if you are new to smart homes and home automation. A smart hub that started out strongly but under Samsung’s watch has become a total mess. The culprit is its reliance on the cloud for processing rules/scenes. Just head over to the Smart Things forum and have a look at what the owners are going through. The poor extremely poor and unreliable cloud platform and utter disregard for existing users is what put me off Samsung SmartThings and I am glad. Heck, it doesn’t even have a proper rules/scenes engine after the excellent 3rd party developer of Rules Engine was forced to stop development! SmartThings, Samsung’s smart home subsidiary, has had a large number of complaints about glitches with its smart home hub posted on its community message board and Reddit in recent weeks. Users called the system “fatally flawed,” and reported that their devices randomly disconnect from the system or turn on or off without command. One user, Shelley Powers, wrote that the hub repeatedly made her lights switch on and her home alarm system go off for no reason, CNET reported. Rule Machine, a smart home app for making smart home devices perform complex tasks, withdrew support for SmartThings last week, citing these technical problems. Read more about the reasons I wouldn’t recommend Samsung SmatThings to anybody. There are several questionable bloggers out there pushing the SmartThings hub as the best smart home hub, but as you can see, I beg to differ! This is another Z-Wave smart home controller that is often compared to the Vera Plus. Even if performance, features and reliability were comparable (and they are not), the Vera Plus costs a fraction of the HC2. So the Vera Plus is much better value of money. Hello, Thanks for great review. I’m new to smart house technology, and I consider also buying this VeraPlus for heat control. My use-case is heating with electronic heaters plugged into the wall, mostly one in each room of our house. Can you please confirm that this control centre can handle a temperature sensor in each room that controls smart switches for the heater(s) in that specific room? Is it possible for you to reccommend any plugs and sensors for this purpose? Hi there, the Vera Plus can control your electric heaters based on temperature sensors in each room. I have a gas-fired central heating boiler so I use the Vera to tell my boiler to turn on and off based on the individual room sensors, but I do exactly what you are after for lights. After a certain time in the night, motion sensors in the hallway trigger lamps plugged into smart plugs. I have reviewed the Fibaro and Aeotec multi-sensors (temperature, motion, etc.) I use and the smart plugs I use. Both sensors are great but the Fibaro has a cool multicolour LED and the Aeotec has an extra humidity sensor. I use the humidity sensor to automatically turn on and off a humidifier in my baby’s nursery. Great, thanks! Your smart house sollutions seems really good. Sorry maybe I wasn’t clear, the smart plugs simply plug into your existing wall power outlets, so there’s no need for any wiring at all. They simply sit between your existing wall power outlets and your appliance. The neutral wire requirement comes into the picture only if you are actually trying to wire in a ZWave switch to replace an existing wall “switch” – I have not done this and you do not need to do it either. I have done zero wiring – the whole point of using smart plugs like the Greenwave I linked to is to avoid tampering with your home’s wiring. Thanks again. I’m the one not being clear. 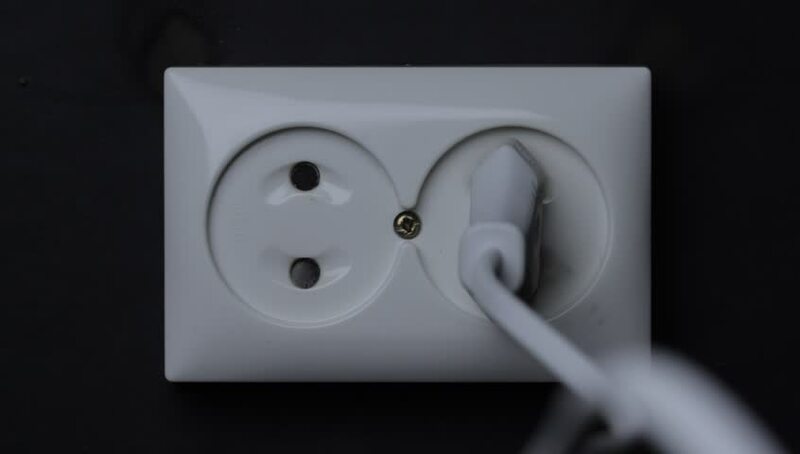 My (Euro) outlets are like this: https://ak1.picdn.net/shutterstock/videos/1959121/thumb/1.jpg, and all the smart plugs I’ve seen seems to be grounded (3 connectors), and I fear they won’t work in my 2-connectors outlets. All behind-outlet-switches I’ve seen seems to require 3-wires, and I’ll be surprised if the plugs are not built on the same technology. Thank you Daniel for such an enlightening article. I wonder if you can shed some light on controlling cooling rather than heating for a home with 9 different cooling units and thermostats. What brand of a z wave enabled thermostat would you recommend and type of infrared and temperature sensors required to do a ifttt scene. You’re welcome! I use the Secure brand of thermostats, Aeotec and Fibaro for multi purpose sensors. hello I am thinking about similar solution… but i dont want to control it via any cloud… i have VPN like you. Is it posible to set it up without cloud? Hi Ken, the Vera Plus is not cloud-reliant. It doesn’t require you to use the cloud service or even the Internet to function. The signup process is online and requires an Internet connection but is not needed after that point. I access it remotely over the QNAP VPN using openVPN on my phones. Hello, does all the sensors works on the european version? And if not, how do i know choose the right ones? There are a few different Z-Wave frequencies that exist depending on which country you live in – as long as you buy a sensor that works on the same frequency as your hub, it will work. So my Vera hub is the EU version which works on the 868.40 MHz frequency and all my Z-Wave sensors are also of the same frequency. So they work together very well. Israel is allotted a different frequency so you would have to by sensors that are certified to work in your country. Hi Daniel! Thank you for this article ! 2. The Application that acces Vera Controller, is multi-user? I’m interested if I will install the application on my children or wife Android phone, I want to not allow admin rights for they, I want to be the only person with admin rights ant the others to have limited rights(like rights to view cameras or view events/alarms). It is possible ? 1. No I do not have Zigbee devices but I have read several people reporting that it works as advertised. 2. Yes you can set up users on the Vera Plus and then restrict view events/alarms rights to certain users only. This is managed using the getvera.com portal. There are 3 user levels: admin, notifications only and guest. I don’t think you can restrict camera viewing rights. Watch this official Vera video to learn more about what is possible. This webpage on the Vera support site is also good. PS: Have Vera the posibility to save the rules/settings for future restauration in case of “reinstall” the whole system? Yes it does. You can learn more on this Vera support page. 3. What do you mean by saying it is not possible to add the “AND” operation in rules? Hey there. Building your own smart home is fun and a Vera Plus is a great device for light duties. 1. You can definitely do this – you just need to get a GlobalCache IR controller or such to fire the IR commands. 2. This is also possible with the Vera’s built-in scene creator. 3. There are a limited set of scenes you can trigger when more than one condition is true, but these are limited to things like time and as in point 2 above. If you want to create a complex event which has to test multiple conditions to trigger an event, the built-in scene editor stumbles. For example to create events for my VERA automated central heating system, I had to use the PLEG plugin to create an event like this: If Virtual Switch 1 is ON AND Virtual Switch 2 is ON AND time of the day is X AND if temperature is less than set point, then turn on the boiler. Just one more question, I currently use the Harmony Elite remote control. Can I use Vera to send commands to the media (TV, receiver, etc) using the Harmony Hub (in media related scenarios)? Also, can I use the Harmony remote control to run scenarios on the Vera (controlling Vera with Harmony remote)? Hi Daniel. Excellent information on Home Automation (HA) and great website. Greatly appreciate your insight. Below a few details on a HA application I’ve been investigating. I’m looking to add small amount of electric heating to my shop in really cold periods just so it stays around the freezing mark. 2. Smart 220V/30+A power control (Aeotec has heavy duty smart switch or Wion has outdoor wifi smart box). Insteon also has a product. 3. Need to measure temps (as low as -10degC) and control my electric heater. Many devices do not work at those low temps and I’m concerned batteries in battery only devices will deplete quickly. Having trouble finding the right device for this, any suggestions? However, I would like to continually expend by adding more and more smart devices as new products hit the market. 1. Temp device to have combined motion and/or camera for security monitoring benefits. In another section recommend Fibeo (sp?) or Aeotec Motion 6. Any suggestions which is better? 2. In an effort to be enivronmentally conscientious, I have a grid tied solar system which I would like to use my HA to maximize use of solar production and weather forecasts (heat more on sunny days). My solar system has a over the wire RF device which connects to my network/internet. Any idea how this could tie-into the Vera controller? 1. Have you researched the Universal Devices ISY99iZW+/IR? Works with Z-Wave, Insteon(with addition of a PLM device) and IR. However does not work with Wifi. I also worry about ISY going obsolete as it looks like a fairly old . Any thoughts on this device for a controller vs the VeraPlus which does have the Wifi capabilities? 2. ISY also has a weather module that can use local weather information for logic control. Does Vera have anything similar? 3. Pro I see with Vera is that it has the wifi control. Pro with ISY is the Insteon control. Both have Z-Wave. Considering the future technologies, do you think I’m better going with the Wifi (Vera) as it’s more universal or do you think Insteon is here to stay based on reliability? Likely tough question, just looking for your insight.